AURA NOIR RELEASES "DARK LUNG OF THE STORM"
Six years after their masterpiece album "Out To Die", Aura Noir is back with a smasher! The Ugliest Band in the World will unleash their sixth full length, the semi-self-titled 'Aura Noire', on April 27 and the record's first single titled "Dark Lung Of The Storm" is available on all streaming services now! 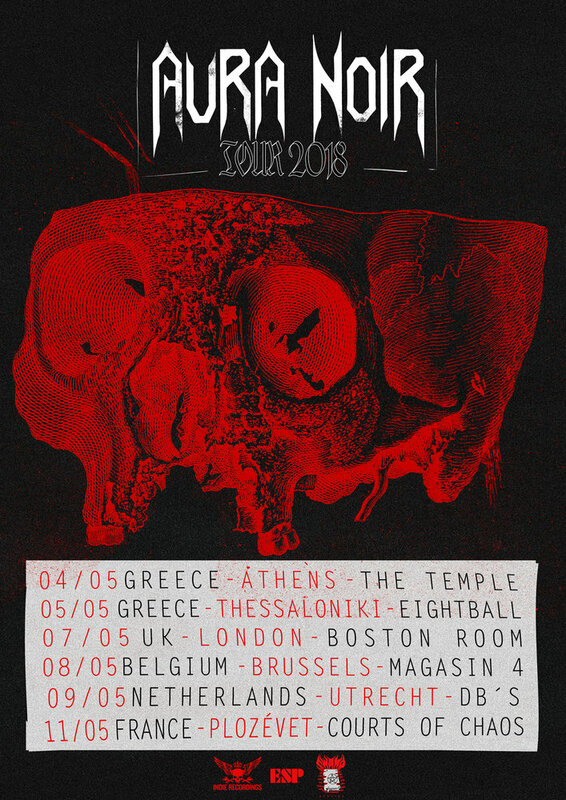 A band geared towards thrash connoisseurs with active minds and mean spirits, Aura Noir stand at the fore of metal’s definitive genre in an age where the underground is utterly besotted with bands. These Norwegian thrash stalwarts don’t so much tread the line between savagery and sophistication as stomp upon it, showering dirt in the faces of lesser acts with each smoldering crater of an album.